Mom, it is forever inscribed in my heart how much I love you. Therefore, on Mother's Day I still think of You and I wish You only the best. Huge sincere Thank you to my most loved Mother in the world. Enjoy this day because it is only for You. I love You very much. On Mother's Day we wish You, lovely Mommy, to have an amazing day: carefree and free of stress. Stay as lovely as you are. We love You! I have chosen the most beautiful flowers for You Mom, but their blooms cannot compete with your warmth, kindness and charisma... 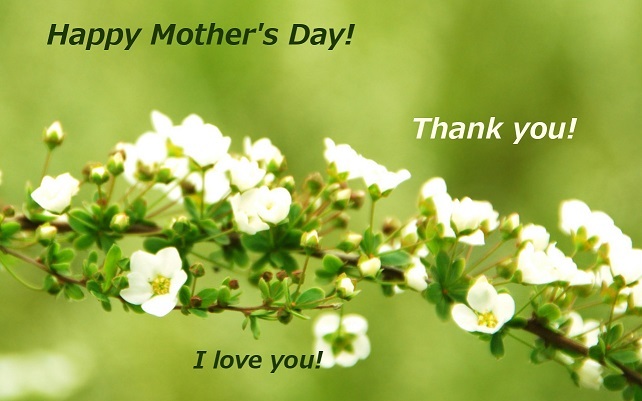 I wish you all the best on Mother's Day! This is the only day in the year just for You Mom, but... we should celebrate it 365 days a year. Thank you for Your love, strength, warmth. Thank you that You're always with and for us. Today, could it be otherwise... I am sending You happiness, joy, sunshine and a huge thank you, Mom. Only You alone, Mommy, know what it means to love and be happy... I kiss You and wish a happy Mother's Day! Dear Mom, You're Everything to us. We love You the most in the world. What joy that You are here. With Mommy's day! Mom, on Mother's Day occasion, I want to say how much I love You, that I really need You. Thank you very much, that You are, that You care for us! Congratulations to You on Mommy's day. I would like to give You so much of everything, if only I could... But the only thing I can give - is my love for You. Be happy, my Mommy!